Through poems about prayer, conversion and faith, Tim Bete shares his search for God--a search that is common to each of us. Somewhere in the intersection of holy silence and the struggles of daily life, God appears: in a winter evening walk, in the smell of incense at church, in a blue patio chair, in the Sacrament of Confession. More than a collection of poems, this book is a prayer journal--a glimpse into the faith journey of the poet. More of Tim's poetry can be found at www.GrayRising.com. 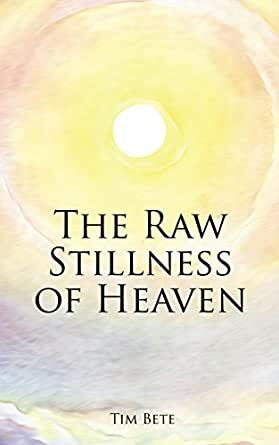 I just finished Tim Bete's book of poetry, The Raw Stillness of Heaven. 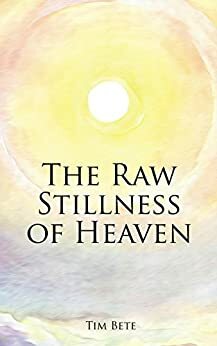 I started out with the Kindle version when he launched it a few weeks ago, and am so blown away with his poems that I purchased a print copy to use for prayer and meditation. I have recently come to appreciate poetry again after a long absence from its beauty, and his work lives up to everything I love about the form. I can't recommend his work highly enough. 5.0 out of 5 starsIf you are Catholic and think that you do not like poetry, this book will change your mind. An impressive collection! Not a weak poem in the book! Tim Bete is graced with the ability to write vivid, beautiful poetry that emerges from his devotion to a life of faith. The poems are written in a clear, concrete, contemporary style. They are moving and memorable. When I read “God Whispers,” “Where God Hides,” and “Saint Dominic’s Patio Chair,” which were featured online in The Asketerion, I knew I wanted to read the rest of the book. And now that I have read The Raw Stillness of Heaven, I would like to read even more of his work. If you are Catholic and think that you do not like poetry, this book will change your mind. Tim, you have touched my heart, mind and soul with your unique prayerful poems in a way I can't describe. I love your insightful way of touching real life to God's life and ways. We are very much of this world and your poems make the divine connection of humanity to God, from the patio chair to the women cleaning tile floors day after day. You have made me gasp as I comprehend the message in poems with a strong vital message. Thank you for awakening new life in my heart. I plan to give your book to each of my Bible Study members at Christmastime. 5.0 out of 5 starsShort, uplifting reflections. Very inspiring! Prayer is “raising your mind to God.” On that account, this book delivers.